After World War II, the manufacture and performance of American-made canoes experienced a surge thanks to a new material: Aluminum. Before man first wrought tools of bronze, before ancient Egyptians built the pyramids or even before written language, there were canoes. Despite newer, stronger, lighter materials, the canoe remained largely unchanged for the last 5,000 years. Canoes: A Natural History in North America reveals the evolution and design of this ancient watercraft. This excerpt explores the then-revolutionary advancement into the first aluminum canoes—made right here in the U.S.A.
Excerpted with permission from University of Minnesota Press; Canoes: A Natural History in North America by Mark Neuzil and Norman Sims, foreword by John McPhee. ©Mark Neuzil and Norman Sims, 2016. THE FIRST OF THE POST-WORLD WAR II CANOES to hit the market successfully in a material other than wood were built of aluminum—not a synthetic material, but not an element with a huge market share in mass-produced boats. Aluminum had a brief history with watercraft, full of stops and starts and mostly dead ends. Although aluminum is the world’s most common metal, it is not found lying around by itself in huge veins, ready to be mined. It is almost always mixed in ores, such as bauxite; to be used efficiently, it must be separated from its ore and processed. This has been done more-or-less successfully since at least the 1850s, although the real breakthrough came in the 1880s, when American Charles Martin Hall and Frenchman Paul Heroult, working independently, devised a cost-effective extraction method based on electrolysis (eventually named the Hall-Heroult process). Hall’s company, Pittsburgh Reduction, was the forerunner of Alcoa, still one of the world’s largest producers of aluminum. By the middle of World War II, Grumman was the major supplier of aircraft, such as the famed F4F Wildcat and F6F Hellcat, to the U.S. Navy. But it became clear as the war was winding down that Grumman needed to reduce its labor force—employment went from more than 20,000 to slightly more than 5,000—as well as find new markets as the demand for military aircraft nearly vanished. The company returned to commercial amphibian models and aluminum truck bodies and added private light planes. 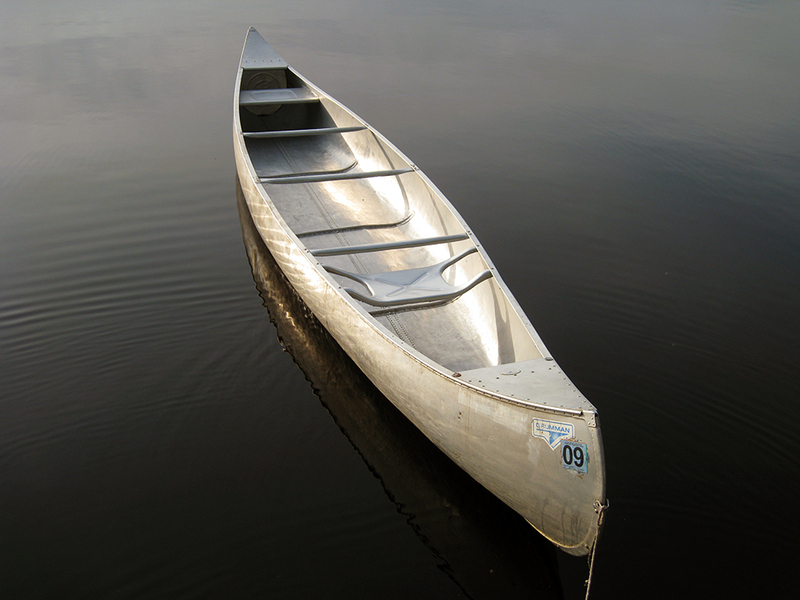 But perhaps its most well-known new product was the Grumman aluminum canoe. The idea came from Grumman’s chief tool engineer, William Hoffman. He was an avid fisherman and outdoorsman, and at the end of May, 1944, he took a canoe trip into the Adirondacks. Hoffman’s personal canoe was a 13-foot Old Town wood-and-canvas that had seen some wear; his trip took him on a portage from Limekiln Lake to Squaw Lake, and, like many canoeists, he swore that his boat weighed more than its advertised 50 pounds when he reached the end of that haul. A lighter canoe might be possible with aluminum, he thought, so he took the idea to Grumman and Jake Swirbul, a manager at the aircraft company. “They liked the idea, particularly as a postwar project, and suggested I start some studies on it,” Hoffman said. A marketing survey was commissioned. Grumman was convinced, and Hoffman’s group went to work on a design. The bow and stern were heightened and watertight compartments added in each end. “Then we had to design the hull lines so that our aluminum stretch presses could form each of the two halves of the canoe out of one piece of aluminum sheet without any wrinkling,” Hoffman recalled. Two identical halves were riveted together and the keel and the gunwales produced from aluminum extrusions. 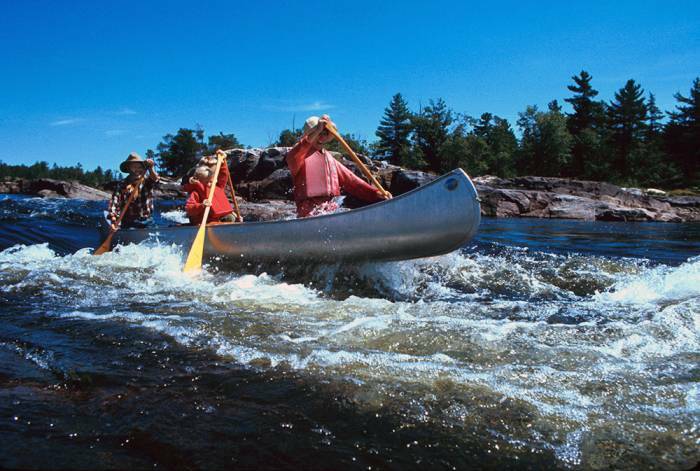 Alcoa designed and produced a special aluminum alloy for the Grumman canoes and sent along a canoe expert named Russell Bontecou, who had been working with aluminum boat prototypes for several years. 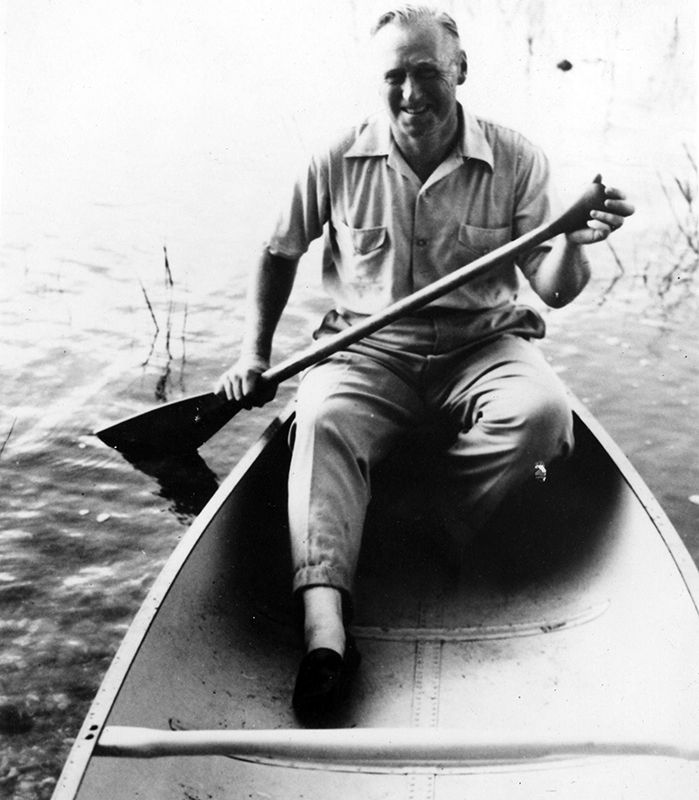 Bontecou did not have Grumman’s engineering expertise, nor access to its big stretch presses, and he had been designing and building canoe prototypes in sections, which proved unworkable commercially. But he landed in the right spot, and his canoe knowledge was important to the project. Hoffman, Bontecou, and their team built a 13-foot pilot model, using a maple die, based on an Old Town canoe owned by Hoffman. The aluminum boat weighed 38 pounds, while the elderly Old Town tipped the scales at 64 pounds. More test models, this time 17 feet long, were ordered, and production of the longer prototypes was moved to the company’s bowling alley in Plant Number 2 at the end of 1944. In the spring of 1945, the company sent a crew down the Allagash River in Maine in a prototype, and it survived the rocks and rapids without a problem, just like the birchbarks, dugouts, and wood-and-canvas boats before it. The marketing department took another prototype to Abercrombie and Fitch in New York City, where it sat in a display window and drew interested crowds. By the end of 1945, the war was over and Grumman had 94 orders for its aluminum canoe. The company made it in four lengths and in regular and lightweight versions at the aircraft plant in Bethpage, Long Island. The following year, 10,000 canoes were ordered and the plant was running three shifts per day. 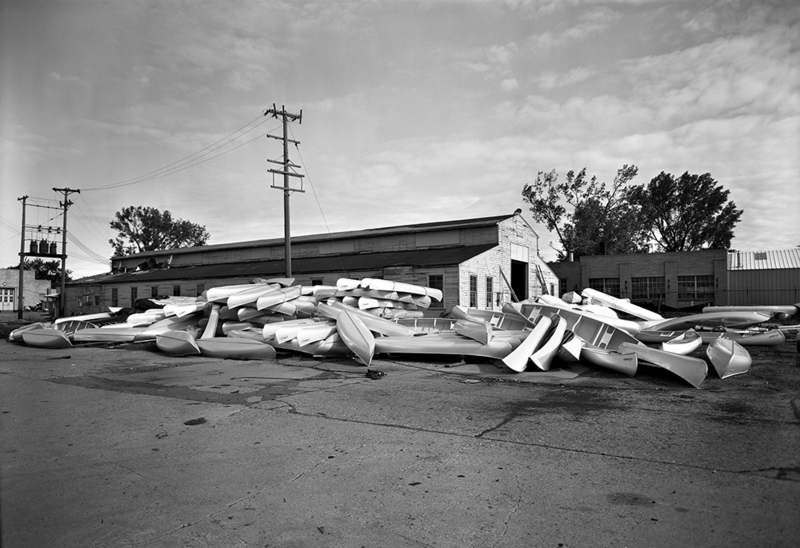 By 1947, Grumman was the nation’s largest canoe maker. It was undercutting Old Town on price—a new Old Town OTCA was $199 in 1947, while the Grumman went for $157 in regular trim. And the aluminum boat was 18 pounds lighter, and 32 pounds less in its lightweight version. Eventually a heavier “livery” model was added to the lineup. The Korean conflict interrupted aluminum canoe production at Bethpage, and the Grumman line was moved to a plant in Marathon, New York. More manufacturers jumped into the market, but none reached the national sales success of Grumman. Dow Chemical made a 12-foot canoe of magnesium in the late 1940s, but it cost $325. In Minnesota, an ironworks magnate named Henry J. Neils began producing aluminum boats in 1945; a year later he founded the Alumacraft Boat Company. Alumacraft, which was sold to Hupp Corporation in 1960, made a range of aluminum boats, including well-designed canoes. But the seeds of change had been planted again for canoe builders, even Grumman, and this time it was an ancient concept—spun glass—that signaled room in the canoe mass market for more than just aluminum. 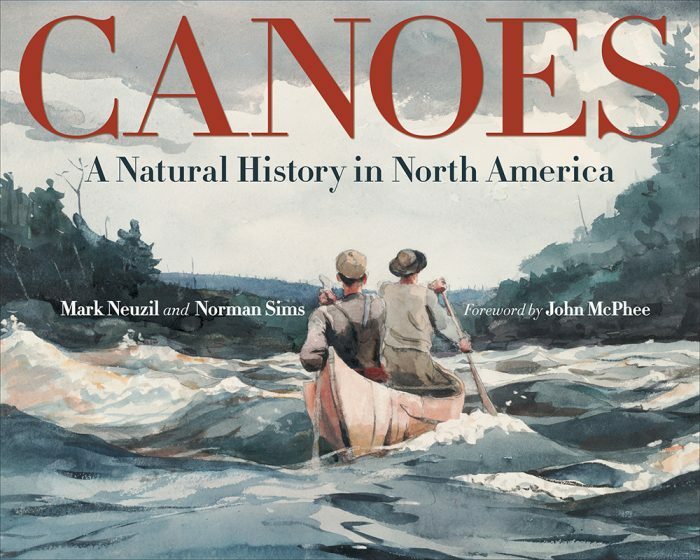 —Canoes: A Natural History in North America by Mark Neuzil and Norman Sims is available for purchase on Amazon. (c) Mark Neuzil and Norman Sims, 2016; excerpted with permission from University of Minnesota Press. 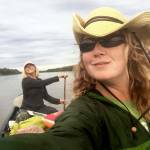 Latest news and reviews for recreational and sport canoe paddlers. Lakes, ocean, and the occasional white-water river, this category is your source for all things canoe.